Treasure trove of Treasury Bags. Reenact your favorite European bank heist, without worry of Interpol getting involved. 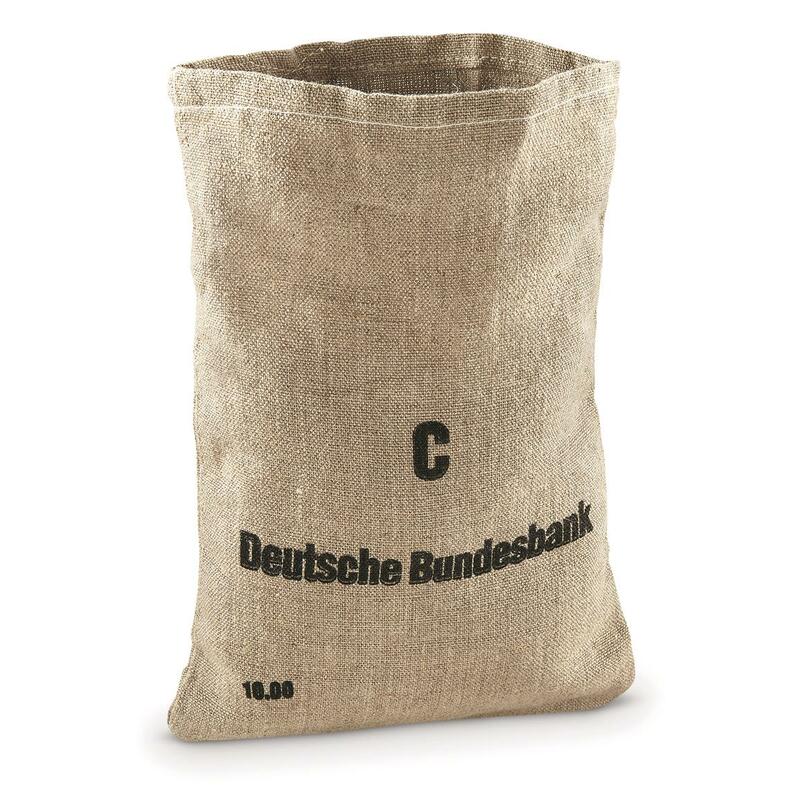 These Bank Bags come straight from the storehouses of "Deutsche Bundesbank," the central bank of the modern united Federal Republic of Germany. Supplied empty. Load yours up with gold bullion, doubloons, silver dollars, pennies, brass cases, washers, onions, or whatever else you have around the house. 9.5" x 4.5" x 9"
Keep vital supplies dry and protected. 20 x 11 x 19.5"h., 4 lbs., 2 oz. Lots of room and tough as heck.